NASA has launched a mission to get closer than its ever gotten before to the sun, its corona and solar wind. After a 24-hour delay, the mission, called Parker Solar Probe, launched early Sunday. PSP is the only NASA mission, scientific probe to study the sun's corona and solar wind. The mission is named for Dr. Eugene Parker, a physicist at the University of Chicago who proposed the existence of solar wind. It is the first NASA mission to be named for a living researcher. "The spacecraft must operate in the sun's corona, where temperatures can reach millions of degrees," Brown told ABC News via email. "To protect itself, the spacecraft has a thermal protection system, or heat shield, that will provide a shadow in which the spacecraft will 'hide' to perform its scientific data gathering. The outer sun-facing side of the shield will reach 2,500 Fahrenheit at closest approach to the sun." "The mission will unlock mysteries of the corona, including why it's so much hotter than the surface of the sun which is about 10,000 Farenheit," Brown said. This mission is exciting because never before have we had the opportunity to get this close to the sun. Solar weather isn't something most of us are aware of -- not like approaching thunderstorms or blizzards or tornadoes -- but it impacts our technology, our satellites, the electric grid and our communications networks. Also, astrophysicist Hakeem Oluseyi says this is one of NASA's most exciting missions. "We need to get an up-close view to see this solar processes, to improve our understanding of how the sun works," Oluseyi said. "This will help us understand how stars interact with [the] planets that orbit them and may give rise to new technologies." David Alexander, director of Rice University's Space Program, says you cannot overestimate the importance of this mission. "The mission is slated for a seven-year primary mission," Brown said. 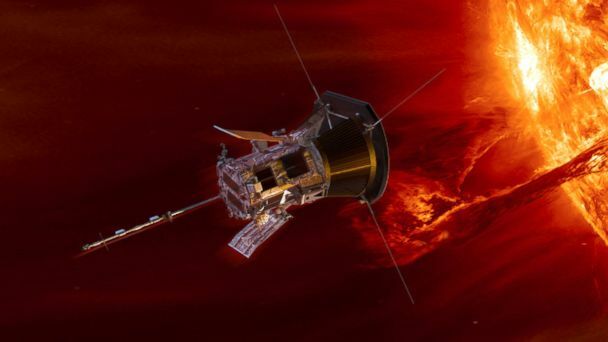 What is Johns Hopkins' role in the Parker Solar Probe? "The Johns Hopkins Applied Physics Laboratory (APL) designed, built, and will manage the mission for NASA," Brown said. "APL will operate the spacecraft from a mission operations center on APL's campus in Laurel, Maryland."